Major-General Christine Whitecross in Ottawa in 2015 (before her promotion to Lieutenant-General). 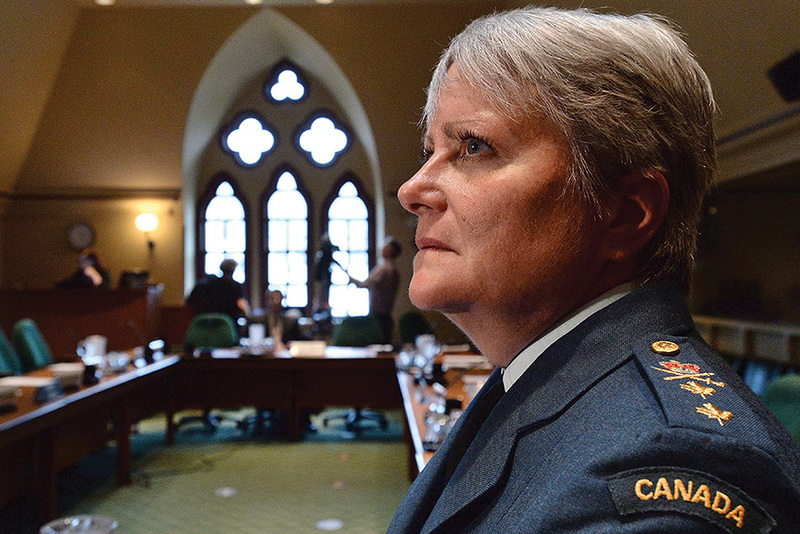 Lieutenant-General Christine Whitecross (Sc'84) has always been an early riser. These days she’s up by six, taking in a view of rolling hills from the window of her villa on the outskirts of Rome. By Whitecross’s standards, however, it’s practically sleeping in. “I get up a lot later now than I used to,” she laughs. Discipline has never been a problem for Whitecross, Canada’s highest-ranking female military officer, who has served the country in a variety of capacities for more than 36 years. Whitecross, who studied chemical engineering at Queen’s and earned a master’s degree in Defence Studies at the Royal Military College, has held staff positions in Bosnia, Afghanistan, Germany, and across Canada, including with the Canadian Military Engineers. Typically at work by 7:30 am, Whitecross frequently starts her day by welcoming and meeting with the international guests who visit the college on an almost daily basis to give lectures. “Because we are an institution that doesn’t have an inherent teaching faculty, all of our speakers come from around the world,” she says. “These are very current subject-matter experts, academics, and practitioners.” While she likes sitting in on the lectures, Whitecross can also listen to them in her office while she works, thanks to the college’s robust IT system. By afternoon, she has turned her attention to the business end of running the college, from strategic planning and visioning for the college’s next decade to working with her team. The NATO Defense College employs 150 people from varying NATO-member countries, and attracts an average of 250 students per year who come to Rome to learn key lessons in defence, security, and international cooperation. We help people learn to think, to be innovative, and to appreciate a diversity of opinions, cultures, and backgrounds. 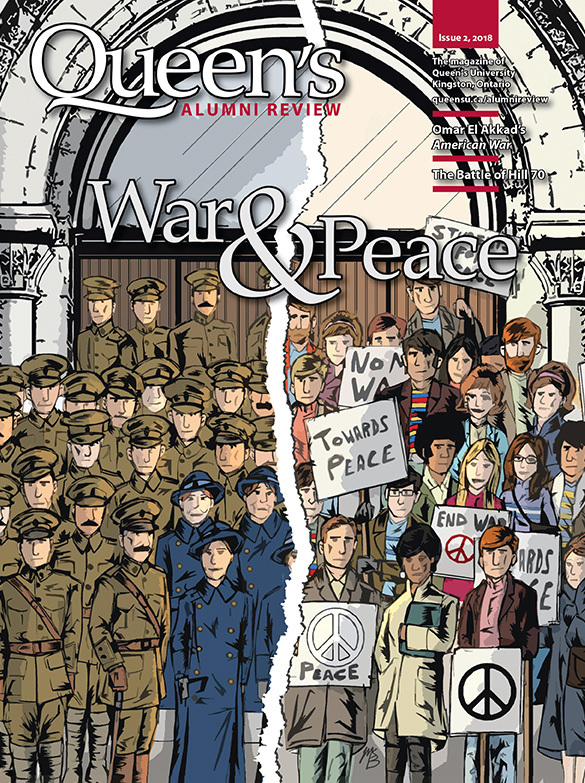 Whitecross stresses the critical role the college plays in developing people who are able to embrace strategic thinking, devise common solutions for shared problems, and face complex questions of security head-on. “NATO can’t make a decision without the consensus of all 29 member nations, and that’s not easy,” she explains. “We develop the competencies that are required to come to consensus on something. We help people learn to think, to be innovative, and to appreciate a diversity of opinions, cultures, and backgrounds.” Among its many courses, for example, the college runs a 10-week program on regional cooperation, which is specifically designed for people from the Middle East, North Africa, and Gulf regions, with a focus on issues like security, counter-terrorism, and the root causes of the region’s instability. recent iteration drew participants from Algeria, Egypt, Israel, Jordan, Kuwait, and the United Arab Emirates, among other countries, many from outside of the NATO alliance. Whitecross herself has taken the two-week-long Generals, Flag Officers, and Ambassadors course, in which learners divide their time between Rome and Brussels (where NATO's headquarters is based) as they learn more about the organization’s interests, security concerns, and capabilities. The college’s core business, however, is the senior course – a six-month intensive program field study visits to national capitals. A two-week trip to the United States, for example, includes a visit to the Pentagon, the United Nations headquarters in New York City, and the NATO Allied Command Transformation in Norfolk, Virginia, with a goal of having participants meet senior decision-makers and better understand differing security and defence issues and policies. As she worked her way up the military ranks, taking on greater and greater responsibility, her family grew, too. That’s when she and her husband, Ian, who was also in the military, made an unconventional decision: it would be he – rather than she – who would take early retirement in order to stay home and raise their three young children. While she admits that Canada still has work to do when it comes to addressing the issue of sexual misconduct in the military, Whitecross also believes that the country is ahead of many others when it comes to creating a culture of equality. She is also proud of what the military has been able to accomplish already. Though Whitecross, who typically works at least a 12-hour workday, plans to step down from her post at the college in 2020, there is still much that she wants to accomplish before then: from growing the research division and overseeing a curriculum review to implementing initiatives to make it even easier for people to study, including through courses with shorter time commitments and expanded distance learning initiatives. Ultimately, however, she is focused on broadening the college’s reach and ensuring that it continues to meet the needs of its partner nations in the years to come, developing innovative thinkers and strategic leaders ready to tackle tomorrow’s challenges. On Jan. 23, 2018, Prime Minister Trudeau named Lieutenant-General Whitecross to his newly created Gender Equality Advisory Council, a high-profile group (members include Nobel Peace Prize recipient Malala Yousafzai and the International Monetary Fund’s Christine Lagarde) dedicated to ensuring that “gender equality and women’s empowerment are integrated across all themes, activities, and initiatives of Canada’s G7 Presidency.” The council met as part of the G7 summit on June 9. A world that is peaceful, just and secure. Read the council's full recommendations.